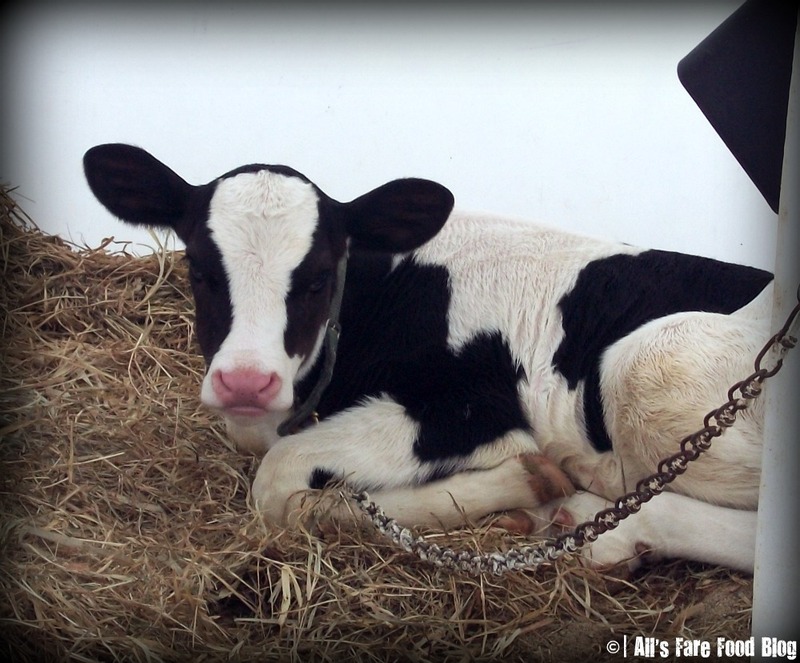 Richardson’s has 370 dairy cows that produce the quality milk for their ice creams and frozen yogurts. 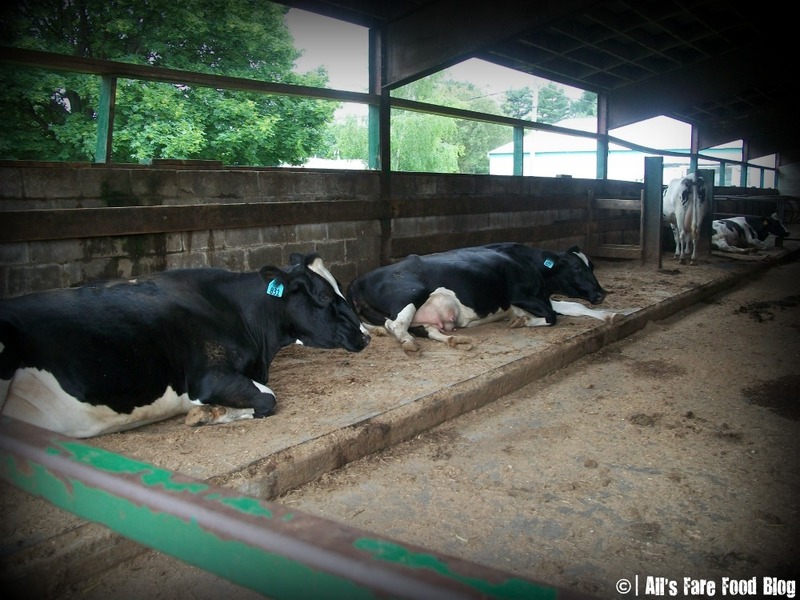 Pictured above: Richardson’s grows 300 acres of its own cow feed for its cows. Seen above are the moms-to-be in one of the covered barns that you can peek into while roaming the grounds with your ice cream cone or other frozen treats like frappes and sundaes. You’ll be amazed at all the different flavors on the menu from “frozen pudding,” a rum-based ice cream with peaches, raisins, pineapple, maraschino cherries and apples; to cookie dough, double chocolate, pistachio and Crunch-a-Saurus, a mix of blue vanilla ice cream and chocolate-covered krispies. 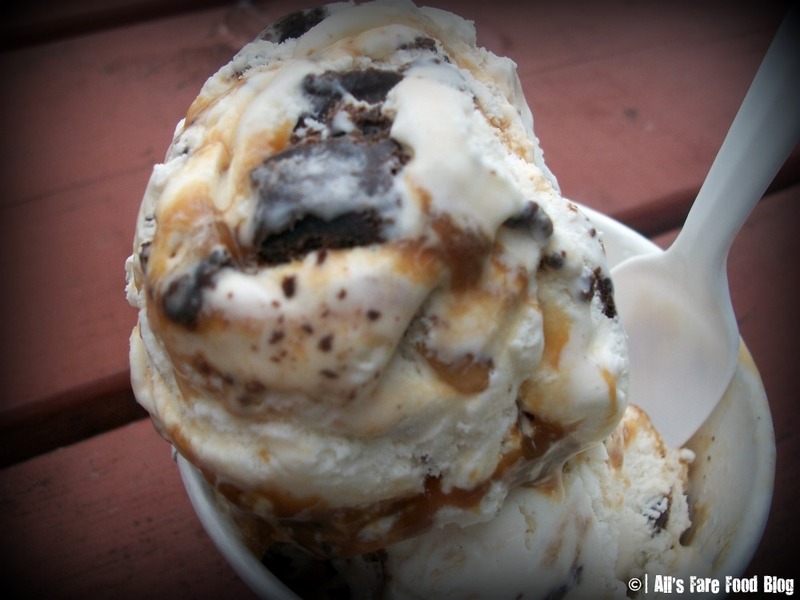 Pictured above: Totally Turtle is one of Richardson’s Ice Cream’s multitude of flavors. This one is a vanilla base with cashews, fudge chunks and a caramel swirl. If you’re being good, their 95 percent fat-free, no-sugar added ice creams (in coffee, black raspberry and vanilla) are amazing. You wouldn’t know that you’re being an ice cream angel with these! Pictured above: Golfers swinging away at the driving away adjacent to Richardson’s Ice Cream. 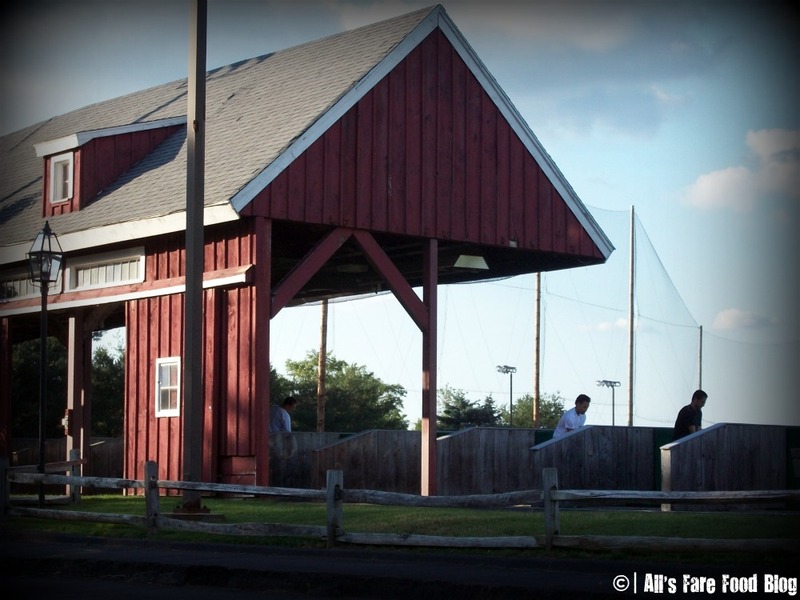 There also is a mini-golf course and batting cages to pass away an afternoon or summer evening. 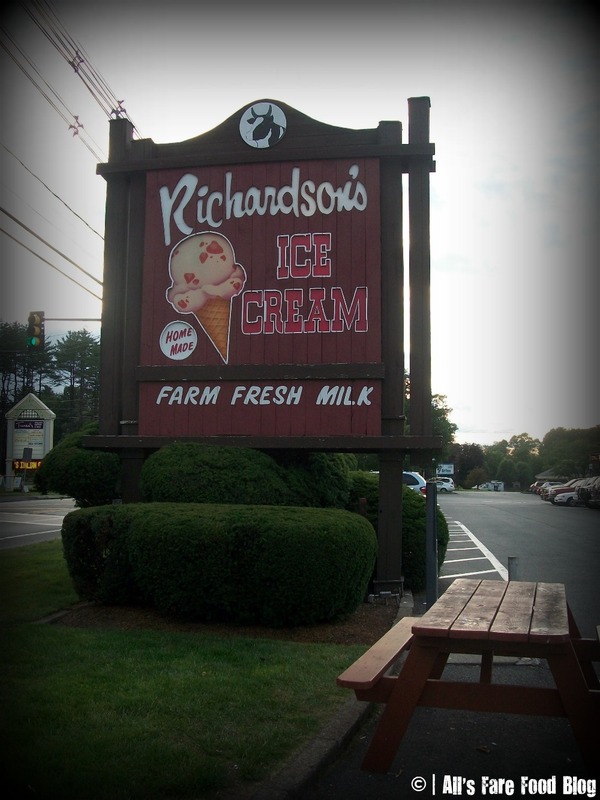 Richardson’s Ice Cream also has a second location in metro-Boston. It’s at the Jordan’s Furniture in Reading. So, buy a couch and get a scoop. Not a bad time for furniture shopping. You can also find a Fuddrucker’s, trampoline school and Jelly Belly outlet. Find out more about Richardson’s Ice Cream at www.richardsonsicecream.com. This entry was posted in Cuisine - Desserts, Places - Boston, Places - Massachusetts, Places - New England, Write the Caption and tagged Boston, dairy, farm, frappes, frozen yogurt, Fuddruckers, ice cream, Jelly Belly, Jordan's Furniture, Massachusetts, Middleton, Reading, Richardson's Ice Cream, sugar free, write the caption by Christina. Bookmark the permalink. Try the sugar free coffee ice cream. It’s sooooo good! !